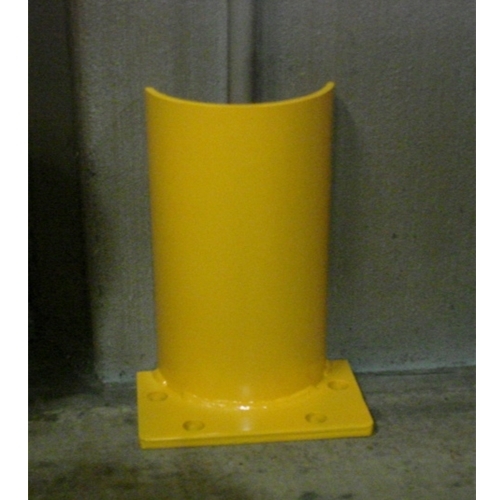 Rack Guards with Heavy Duty design 6″ x 4″ x 1/2” Steel Floor Angle with 10″ radius ends to keep traffic away from critical rack supports. Sizes available in stock from 24″ to 48″. Filler floor angles also available. 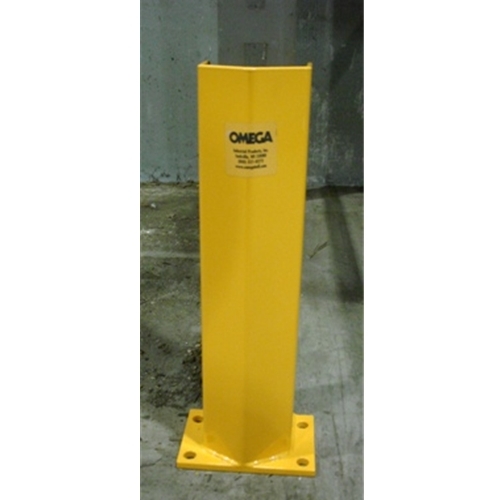 Attractive, highly visible OSHA-approved – Omega Traffic Safety Yellow finish. All hardware is included (5/8” x 43/4” Floor Anchors).